Ever been lost in the sea of yourself? You just feel restless and confused and sad. Hopeless yet desperate to move forward. Hoping to find something that will help you keep your head above water yet finding yourself anchored with no where to go. It’s a crappy feeling. When you spend several weeks, months, or years with barren fields, so to speak, it’s called a fallow time. This can happen to anyone about anything. It happens to artisans (writer’s block, anyone?). It happens to businesses. It happens to spiritual paths. It just happens. Sometimes you need to let your live be boring and kind of crap so you can sow new seeds for a better future for yourself. This can be exceptionally difficult however, when you’re dealing with spirituality or magic. How do you know you’ve even going the right way? You don’t and that’s extremely difficult to come to terms with when you just want direction. So here’s a few ways to reclaim yourself and your path magically. This one is pretty simple. If there’s a place that you resonate with entirely, the ocean, the mountains, a park, your kitchen, your bed, then schedule yourself time to be there. You should make that location as ideal as possible and make sure that you aren’t disturbed for several hours. Setting up the ideal situation may require some planning ahead. You may wish to aim for a day where the beach won’t be too crowded so you can enjoy swimming in the ocean without worrying about a beach ball bouncing off your head. Maybe you feel most happy with a batch of delicious bread baking and soup bubbling on the stove. You might need to wash all your bed linens and pull out some extra comfy ones you don’t normally use for this session. Essentially, what you’re doing is setting up as close to a perfect scenario as possible. You may need to clean up the space before you set up (so clear out the stack of crap that accumulated on your kitchen table), but it depends on what place is your happy place. Distractions should be entirely limited. This means turn off your phone, computer, TV, and so on. Just turn them off. If you’ve never unplugged before, this can be extremely difficult to do. But try it for at least an hour. You may wish to play some music, and if so, make sure that it’s relatively inconvenient for you to scroll through instagram or facebook chat someone. Place the device out of range, with the notifications on silent, and just sink into the relative quiet. Once you’ve gotten set up, just exist in that space for the time you’ve set aside. Read a book that feels inspiring to you (maybe it’s a big thinking kind of book or maybe you hauled out your Harry Potter to remind you why you love magic.) Swim in the ocean, lay in the grass and watch the clouds. People watch, read through family recipes, hike through the forests, slowly boat across a lake… you get the idea. Just exist in that space in a way that makes you feel relaxed and happy. Let your mind drift (it will) and soon you’ll find you may start connecting spiritually to the place, remembering why it feels so special to you. Recall what’s magically about that place and you may rediscover what’s magical about you. This is spell work that asks you to have a fairly open space and time to set up the spell. First, clear a space. If you’re casting the spell in the living room, you may need to put things on top of your coffee table away and move that side table you always trip on anyway out of the way entirely. You’re going to need space to move and you don’t want to be tripping on things when you don’t need to. You’ll want at least a five foot clear space, but I like to have a few feet extra all around for wiggle room. Next, write out all the things that are holding you back. What things pull on you, weight you down, whispering unwanted things to you? What makes you feel muddy, sour, mundane, and dumb? Write all of that down on slips of paper (post its are perfect for this). Scatter these slips of paper across your casting space. It’s really ideal to place the paper on or near objects that symbolism or remind you of the words on the paper. (So if looking at your exercise bike makes you feel sloppy and guilty for not using it as often, put that piece of paper on the bike). Get a ball of string. This can be any color you like, so use color symbolism. Tie a loop around your dominant wrist. It doesn’t need to be tight. Gently, go to each place you put the paper and wrap or tie the string around or near it as best you can and move onto the next paper. I recommend doing this is the order of the things that come to mind. If you really dislike your job, that might be first, but your second item is you feel poorly whenever you see your aunt, then she might be next even if the photo of her with the slip of paper is all the way across the room. Things will become a jumbled mess. That’s OK. It’s kind of meant to be. Just keep going until you’ve tagged all the pieces of paper. Once you do, gently tie your non-dominant wrist with the string. Now grab a sharp pair of scissors or a knife and cut the strings that attach you to the items. You might need to make several cuts so that the string drops to the ground. Keep doing this until all the string is cut and CAREFULLY cut the string free of your wrists. An alternative way to do the spell is to tie the string to your wrist, then to the object or paper, then back to your wrist, but this can become quite tight and painful in larger spaces as you tug the strings across the room with you. I think it kind of works better this way, because it feels more freeing and thus more powerful, but it’s more painful and tends to break at least one random glass thing you forgot you owned. Either way, take the strings and burn them in a fire-safe vessel and call it a day. You can always as a spirit for advice. Usually people tap their spirit guides for this, but sometimes you need a stranger to give you advice. Other times they just keep telling you what you already know. Ask them again anyway. If you don’t have a spirit guide or don’t want to use them, you can go find someone who can help. I wrote about spirits who can help, spirits I can personally vouch for as friendly and helpful. I like and visit these spirits often and the space is still considered quite safe for travelers and dreamers (ie, you) to wander through. 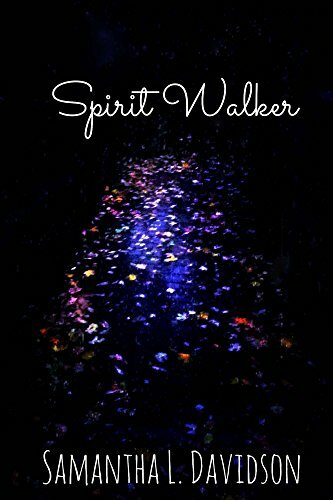 The spirit ruler in particular is good for requesting a journey or trial, as they tend to be fully aware of just how much is lost between the astral and the physical realms when it comes to memory. I know you’re thinking. That’s just getting advice. Well, the reason I make the above suggestion is because if you’re going to ask for a trial, you want it to be from someone who will give you a task that will give you the result you want: reclaiming yourself. The trial may be something classic: “go here and get this item for me and you’ll be rewarded” but the actual reward is discovering yourself. It could be a battle scenario or dedicating yourself to their service. It depends. You don’t have to say yes to the suggested trial or journey. If it sounds sketchy, then don’t do it. But this gives you a chance for you to have an adventure that will help you find you again. Find yourself and your will once more without all the baggage that comes with living. Those are just some of the ways to magically reclaim yourself. As always, I recommend cleansing yourself (and cleaning your space) when you’re struggling spiritually as sometimes the mere act of cleansing and cleaning can dissolve the spiritual gunk.